A dream come true! An ALL PURPOSE LOAN for many thing that life throws up at you!! Do you need funds meeting expenditure on education, marriage, healthcare etc. A simple undertaking in the application itself and no documentary evidence for end use of the fund to be insisted upon. Employees, professionals and Self employed individuals who are IT assesses and NRIs who own residential property or commercial property in his/her own name or in the name of spouse/children/parent/sibling. SBI Loan against property is a loan provided against mortgage of immovable property. The SBI’s loan against property offers loan against properties that can go from Rs. 25 lakhs to over Rs. 1 crore depending on the features and conditions of the bank. These loans can also be repaid over a comfortable period ranging from 5 years to 10 years. Loan Against Property is a loan granted by the bank or any financial institute by taking any of the immovable properties into its custody. The more your property values, the more you get the loan amount sanctioned. Access this loan from wide network of branches all over India. Interest rates are levied on a daily reducing balance method. Lowest processing charges. Also, no processing fee period at times. No prepayment penalties. You can repay and reduce the interest whenever you have surplus funds. Loan under SBI Loan Against Property should be liquidated before eldest borrower attains the age of 70 years. TDS certificate on Form 16 or copy of IT Returns for last two financial years, duly acknowledged by IT Department. Acknowledged copies of three years I.T. returns/ Assessment Orders. Loanyantra, India’s first online home loan management company, works with SBI to bring in a better customer relationship and a perfect interaction to get your work done on time. We are just a missed call away, find out all the details from us about your favourite bank by letting us know your requirement. We let you get the best service from SBI without you stepping out of your cozy home. Call know to get the royal service from SBI via Loanyantra.com 040-71011991. Apart from SBI Loan Against Property, get to know about every bank and every lender in the market. Get the best deal and make the best use of the money. Loanyantra helps you to be aware of the best product that suits your requirement. 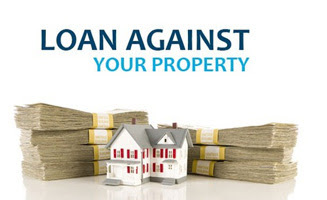 Loan against property- Know in detail! What is Loan Against Property (LAP)? A loan against property (LAP) is exactly what the name implies -a loan granted or disbursed against the mortgage of property. The loan is given as a certain percentage of the property’s market value, usually at around 40 per cent to 60 per cent. Loan against property was essentially a domain of foreign and private banks. They offered the product to fund their self-employed customers’ business-related needs. Lately, all banks are offering this product including the public sector banks. Before taking the loan, the borrower needs to sign a declaration stating the end-use of fund. Loan Against Property Eligibility Check – Who can opt for Loans Against Property? What is the process for Loan Against Property? The process for loan against property is pretty much similar to the home loan process. What are the documents required for loans against property? 3. Proof of business existence & Education Qualifications. When can you go for loan against property option ? To meet the credit needs of trade, commercial activity, other general business/profession, as also for their bona fide requirements. To undertake repairs/renovation/extension to the residential/commercial property. To purchase / construct residential house/flat, purchase of plot of land for construction of house/ premises for business/commercial use. For Repayment of existing loans availed from other Banks / FI’s conforming to the extant guidelines regarding “takeover” of account. What you should know about tax benefits for Loan against property, LAP? There are no tax incentives while paying the EMIs, unlike in the case of home loans. However, this is only in the case of a salaried person. A businessman can claim tax deduction on the entire interest amount paid on the loan if he can prove that the loan was genuinely used to improve his business. This tax advantage is also available if the businessman takes a loan against gold or shares/securities that he owns. The interest rate for a loan against shares or securities, such as the PPF and NSC, varies from 12-15%, while that for gold ranges between 14% and 25%. In the case of the former, a lender will be willing to offer a loan that is 40-60% of the value of the securities, while for a gold loan, you will be able to get 50-70% of the value of the gold you pledge. If you are already under a home loan and need money for children’s education or marriage, top-up loan is the best option though the interest rate is a little high. But if you are not under a home loan and have an own house, then Lap is the best when compared to personal loan. Because, the interest is lesser (similar to home loan), longer tenure, less or no processing fees. If you default, the bank will sell the pledged shares or gold to recover its dues, which is a smaller loss than losing your home. However, if you need a large amount of money that runs into lakhs, the only viable valuable asset that you may be able to pledge is your house. DHFL 13.75% 13.75% 13.75% 1.5% + Taxes. Disclaimer : This site does not take any responsibility for any sudden / uninformed changes in interest rates. Author keerthiPosted on June 25, 2018 June 26, 2018 Categories LAPTags LAP, Mortgage Loan3 Comments on Loan against property- Know in detail! As the name suggests, electronic clearing service, ECS is an electronic process through which money can be transferred from one bank account to another. According to RBI, this mode is usually used for regular payments and receipts, like distribution of dividend, interest, salary, pension etc. This mode is also used for collection of bills for telephone, electricity, water, various types of taxes, payment of EMIs, investments in mutual funds, payment of insurance premium etc. The Electronic Clearance Service (ECS) scheme provides an alternative method of effecting bulk payment transactions like periodic (monthly/ quarterly/ half-yearly/ yearly) payments of interest/ salary/ pension/ commission/ dividend/ refund by Banks/Companies /Corporations /Government Departments. The transactions under this scheme move from a single User source (i.e. Banks/Companies /Corporations /Government Departments) to a large number of Destination Account Holders (Customers/Investors). This scheme obviates the need for issuing and handling paper instruments and thereby facilitates improved customer service by the Banks and Companies/Corporations/Government Departments effecting bulk payments. There are two types of ECS, like most other banking transactions, ECS credit and ECS debit. An ECS credit is used by a bank account holder, usually a large company or an institution for services like payment of dividend, interest, salary, pension etc. If your mutual fund pays you dividend to your bank account, of all probability it is being paid through ECS credit. ECS debit, on the other hand, is used when a company or an institution is getting money from a large number of people. For example if you are investing in a mutual fund scheme through systematic investment plan (SIP), and every month a fixed amount of money goes out of your bank account, it must be through the ECS debit process.This could be used for payment of utility bills like electricity, telephone etc. Q.1. 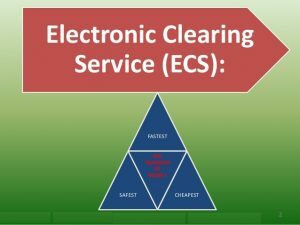 What is Electronic Clearing Service (ECS)? Ans : ECS is an electronic mode of payment / receipt for transactions that are repetitive and periodic in nature. ECS is used by institutions for making bulk payment of amounts towards distribution of dividend, interest, salary, pension, etc., or for bulk collection of amounts towards telephone / electricity / water dues, cess / tax collections, loan instalment repayments, periodic investments in mutual funds, insurance premium etc. Essentially, ECS facilitates bulk transfer of monies from one bank account to many bank accounts or vice versa. ECS includes transactions processed under National Automated Clearing House (NACH) operated by National Payments Corporation of India (NPCI). Q.2. What are the variants of ECS? In what way are they different from each other? Ans : Primarily, there are two variants of ECS – ECS Credit and ECS Debit. ECS Credit is used by an institution for affording credit to a large number of beneficiaries (for instance, employees, investors etc.) having accounts with bank branches at various locations within the jurisdiction of a ECS Centre by raising a single debit to the bank account of the user institution. ECS Credit enables payment of amounts towards distribution of dividend, interest, salary, pension, etc., of the user institution. ECS Debit is used by an institution for raising debits to a large number of accounts (for instance, consumers of utility services, borrowers, investors in mutual funds etc.) maintained with bank branches at various locations within the jurisdiction of a ECS Centre for single credit to the bank account of the user institution. ECS Debit is useful for payment of telephone / electricity / water bills, cess / tax collections, loan installment repayments, periodic investments in mutual funds, insurance premium etc., that are periodic or repetitive in nature and payable to the user institution by large number of customers etc. Q.3. At how many places in the country is ECS Scheme available? Ans : Based on the geographical location of branches covered, there are three broad categories of ECS Schemes – Local ECS, Regional ECS and National ECS.These schemes are either operated by RBI or by the designated commercial banks. NACH is also one of the form of ECS system operated by NPCI and further details about NACH is available at NPCI web site under the linkhttp://www.npci.org.in/clearing_faq.aspx. Local ECS – this is operating at 81 centres / locations across the country. At each of these ECS centres, the branch coverage is restricted to the geographical coverage of the clearing house, generally covering one city and/or satellite towns and suburbs adjoining the city. Regional ECS – this is operating at 9 centres / locations at various parts of the country. RECS facilitates the coverage all core-banking-enabled branches in a State or group of States and can be used by institutions desirous of reaching beneficiaries within the State / group of States. The system takes advantage of the core banking system in banks. Accordingly, even though the inter-bank settlement takes place centrally at one location in the State, the actual customers under the Scheme may have their accounts at various bank branches across the length and breadth of the State / group of States. Q.4. Who can initiate an ECS Credit transaction? Ans : ECS Credit payments can be initiated by any institution (called ECS Credit User) which needs to make bulk or repetitive payments to a number of beneficiaries. The institutional User has to first register with an ECS Centre. The User has to also obtain the consent of beneficiaries (i.e., the recipients of salary, pension, dividend, interest etc.) and get their bank account particulars prior to participation in the ECS Credit scheme. ECS Credit payments can be put through by the ECS User only through his / her bank (known as the Sponsor bank). ECS Credits are afforded to the beneficiary account holders (known as destination account holders) through the beneficiary account holders’ bank (known as the destination bank). The beneficiary account holders are required to give mandates to the user institutions to enable them to afford credit to their bank accounts through the ECS Credit mechanism. Q.5. How does the ECS Credit Scheme work? Ans : The User intending to effect payments through ECS Credit has to submit details of the beneficiaries (like name, bank / branch / account number of the beneficiary, MICR code of the destination bank branch, etc. ), date on which credit is to be afforded to the beneficiaries, etc., in a specified format (called the input file) through its sponsor bank to one of the ECS Centres where it is registered as a User. The bank managing the ECS Centre then debits the account of the sponsor bank on the scheduled settlement day and credits the accounts of the destination banks, for onward credit to the accounts of the ultimate beneficiaries with the destination bank branches. Q.6. What is a MICR Code? Ans : MICR is an acronym for Magnetic Ink Character Recognition. The MICR Code is a numeric code that uniquely identifies a bank-branch participating in the ECS Credit scheme. This is a 9 digit code to identify the location of the bank branch; the first 3 characters represent the city, the next 3 the bank and the last 3 the branch. The MICR Code allotted to a bank branch is printed on the MICR band of cheques issued by bank branches. Q.7. How does a beneficiary participate in ECS Credit Scheme? Ans : The beneficiary has to furnish a mandate to the user institution giving consent to avail the ECS Credit facility. The mandate contains details of his / her bank branch, account particulars and authorises the user institution to afford credit to his / her account with the destination bank branch. Q.8. Is it necessary for user institutions to collect the mandates from beneficiaries? Ans : Yes, in addition to the consent of the beneficiaries, the mandate also provides important information related to bank account details etc. which are useful for the user institution to transfer funds to the right accounts . A model mandate form has been prescribed for the purpose and is available in the ECS Credit Procedural Guidelines. Q.9. Is there scope for the beneficiary to alter the mandate under the ECS Credit Scheme? Ans : Yes. In case the information / account particulars contained in the mandate undergo any change, the beneficiary has to notify the changes to the User Institution so that the correct information can be incorporated in its records. This will ensure that transactions do not get rejected at the beneficiary’s bank branch due to inconsistencies/ mismatch in the data sent by the user institution. Q.10. Can ECS be used to transfer funds to Non Resident External (NRE) and Non Resident Ordinary (NRO) accounts? Ans: Yes. ECS can be used to transfer funds to NRE and NRO accounts in the country. This, however, is subject to the adherence to the provisions of the Foreign Exchange Management Act, 2000 (FEMA) and Wire Transfer Guidelines. Q.11. Will beneficiaries be intimated of credits afforded to their account under the ECS Credit Scheme? Ans : It is the responsibility of the user institution to communicate to the beneficiary the details of credit that is being afforded to his / her account, indicating the proposed date of credit, amount and related particulars of the payment. Destination banks have been advised to ensure that the pass books / statements given to the beneficiary account holders reflect particulars of the transaction / credit provided by the ECS user institutions. The beneficiaries can match the entries in the passbook / account statement with the advice received by them from the User Institutions. Many banks also give mobile alerts / messages to customers after credit of such funds to accounts. Q.12. What will happen if credit is not afforded to the account of the beneficiary? Ans: If a Destination Bank is not in a position to credit the beneficiary account due to any reason, the same would be returned to the ECS Centre to enable the ECS Centre to pass on the uncredited items to the User Institution through the Sponsor Bank. The User Institution can then initiate payment through alternate modes to the beneficiary. In case of delayed credit by the destination bank, the destination bank would be liable to pay penal interest (at the prevailing RBI LAF Repo rate plus two percent) from the due date of credit till the date of actual credit. Such penal interest should be credited to the Destination Account Holder’s account even if no claim is lodged to the effect by the Destination Account Holder. Q.13. What are the advantages of the ECS Credit Scheme to the beneficiary? The beneficiary need not visit his / her bank for depositing the paper instruments which he would have otherwise received had he not opted for ECS Credit. The beneficiary receives the funds right on the due date. Q.14. How does the ECS Credit Scheme benefit User Institutions? Savings on administrative machinery and costs of printing, dispatch and reconciliation of paper instruments that would have been used had beneficiaries not opted for ECS Credit. Avoid chances of loss / theft of instruments in transit, likelihood of fraudulent encashment of paper instruments, etc. and subsequent correspondence / litigation. Efficient payment mode ensuring that the beneficiaries get credit on a designated date. Q.15. Are there any advantages of the ECS Credit Scheme to the banking system? Freedom from paper handling and the resultant disadvantages of handling, presenting and monitoring paper instruments presented in clearing. Ease of processing and return for the destination bank branches. Smooth process of reconciliation for the sponsor banks. Q.16. Is there any limit on the value of individual transactions in ECS Credit? Ans : No. There is no value limit on the amount of individual transactions. Q.17. What are the processing / service charges levied under ECS Credit? Ans : The Reserve Bank of India has deregulated the charges to be levied by sponsor banks from user institutions. The sponsor banks are, however, required to disclose the charges in a transparent manner. With effect from 1st July 2011, originating banks are required to pay a nominal charge of 25 paise per transaction to the Clearing house and destination bank respectively. Destination bank branches have been directed to afford ECS Credit free of charge to the beneficiary account holders. Q.18. Who can initiate a ECS Debit transaction? Ans : ECS Debit transaction can be initiated by any institution (called ECS Debit User) which has to receive / collect amounts towards telephone / electricity / water dues, cess / tax collections, loan installment repayments, periodic investments in mutual funds, insurance premium etc. It is a Scheme under which an account holder with a bank branch can authorise an ECS User to recover an amount at a prescribed frequency by raising a debit to his / her bank account. The User institution has to first register with an ECS Centre. The User institution has to also obtain the authorization (mandate) from its customers for debiting their account along with their bank account particulars prior to participation in the ECS Debit scheme. The mandate has to be duly verified by the beneficiary’s bank. A copy of the mandate should be available on record with the destination bank where the customer has a bank account. Q.19. How does the ECS Debit Scheme work? Ans : The ECS Debit User intending to collect receivables through ECS Debit has to submit details of the customers (like name, bank / branch / account number of the customer, MICR code of the destination bank branch, etc. ), date on which the customer’s account is to be debited, etc., in a specified format (called the input file) through its sponsor bank to the ECS Centre. The bank managing the ECS Centre then passes on the debits to the destination banks for onward debit to the customer’s account with the destination bank branch and credits the sponsor bank’s account for onward credit to the User institution. Destination bank branches will treat the electronic instructions received from the ECS Centre on par with the physical cheques and accordingly debit the customer accounts maintained with them. All the unsuccessful debits are returned to the sponsor bank through the ECS Centre (for onward return to the User Institution) within the specified time frame. For further details about the ECS Debit scheme, the ECS Debit Procedural Guidelines – available on the website of Reserve Bank of India at http://www.rbi.org.in/Scripts/ECSUserView.aspx?Id=25 may be referred to. Q.20. What are the advantages of ECS Debit Scheme to the customers? ECS Debit mandates will take care of automatic debit to customer accounts on the due dates without customers having to visit bank branches / collection centres of utility service providers etc. Customers need not keep track of due date for payments. The debits to customer accounts would be monitored by the ECS Users, and the customers alerted accordingly. Q.21. How does the ECS Debit Scheme benefit user institutions? Savings on administrative machinery and costs of collecting the cheques from customers, presenting in clearing, monitoring their realisation and reconciliation. Better cash management because of realisation / recovery of dues on due dates promptly and efficiently. Avoids chances of loss / theft of instruments in transit, likelihood of fraudulent access to the paper instruments and encashment thereof. Realisation of payments on a uniform date instead of fragmented receipts spread over many days. Q.22. What are the advantages of ECS Debit Scheme to the banking system? Freedom from paper handling and the resultant disadvantages of handling, receiving and monitoring paper instruments presented in clearing. Ease of processing and return for the destination bank branches. Destination bank branches can debit the customers’ accounts after matching the account number of the customer in their database and due verification of existence of valid mandate and its particulars. With core banking systems in place and straight-through-processing, this process can be completed with minimal manual intervention. Q.23. Can the mandate once given by a customer be withdrawn or stopped? Ans : Yes. Any mandate in ECS Debit is on par with a cheque issued by a customer. The customer has to maintain adequate funds in his / her account with the destination bank branch to ensure the ECS Debit instructions are honoured when presented. In case of any need to withdraw or stop a mandate, the customer has to give prior notice to the ECS user institution well in time, so as to ensure that the input files submitted by the user do not continue to include the ECS Debit details in respect of the mandates withdrawn or stopped by customers. The process flow to be followed for withdrawing / stopping mandates is detailed in ECS Debit Procedural Guidelines. Q.24. Can a customer stipulate any ceiling on the amount of debit, purpose or validity period of the mandate under the ECS Debit Scheme? Ans : Yes. It is left to the choice of the individual customer and the ECS user to decide these aspects. The mandate can contain a ceiling on the maximum amount of debit, specify the purpose of debit and validity period of the mandate. Q.25. Is there any limit on the value of Individual transactions in ECS Debit? Ans : No. There is no value limit on the amount of individual transactions that can be collected by ECS Debit. Q.26. What are the processing / service charges levied under ECS Debit? 25Ans : The Reserve Bank of India has deregulated the charges to be levied by sponsor banks from user institutions. The sponsor banks are, however, required to disclose the charges in a transparent manner. With effect from 1st July 2011, originating banks are required to pay a nominal charge of 25 paise and 50 paise per transaction to the Clearing house and destination bank respectively. Bank branches do not generally levy processing / service charges for debiting the accounts of customers maintained with them. Housing For all by 2022. Interest Rate Subsidy on Home Loans. The year 2016 ended with the honorable Prime Minister Narendra Modi’s much awaited speech. The speech gave hopes to the poor, women and senior citizens. The housing policy schemes by the P.M., made easy for the poor to have a home of their own. The new policy of home loan interest rates subsidy to the needed, raised hopes in availing a home with the help of home loan. That too for comparatively lower interest rates. So, now let us go into details of how the CLSS scheme works. 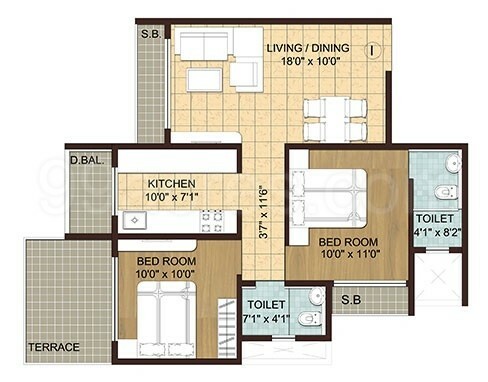 And if any eligible applicant is applying for 2 bhk of 975 sqft super built up area which has 644 sq.ft of carpet area, then the flat might costaround Rs. 40,00,000. Now, the applicant can enjoy interest rate subsidy on housing loan for Rs. 12,00,000. The possible ROI as per Honorable PM speech is 4% less than the current market rate for housing loans. The non subsidized interest rate follows the existing market interest rate, which is currently 8.5%. The central bank has increased the Affordable housing scheme, housing loan limits for priority sector loans to Rs 35 lakh from Rs 28 lakh in metropolitan centres, and to Rs 25 lakh from Rs 20 lakh in other centres. Affordable housing loans will soon become cheaper with the Reserve Bank of India (RBI) extending the ambit of priority sector lending to loans of up to Rs 35 lakh. The priority sector lending tag, will not only reduce equated monthly instalments on loans, but will also ensure easier access of bank credit for consumers, especially for the economically weaker sections and lower income groups. However, the overall cost of the residential unit should not exceed Rs 45 lakh in metros and Rs 30 lakh in other centres, the Reserve Bank of India said during its monetary policy announcement on June, the 6th, 2018. This will also align the scheme with the housing-for-all scheme of the centre. A circular in this regard will be issued by the end of this month, said the Reserve Bank of India. 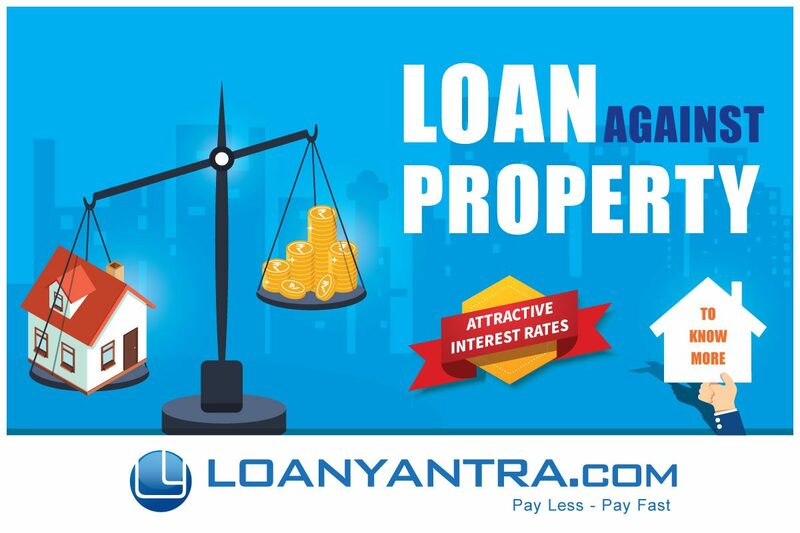 Loanyantra provides you the fastest disbursal from the major banks and financial lenders at the best interest rate and the lower interest rate. Under PMAY Scheme, the interest rate subsidy is provided to make the common man meet the sky rocketing home prices and own a home of his/her own. To become eligible for the affordable housing scheme, and the interest rate subsidy scheme, you should know how the scheme works and where and how you can avail the scheme. Building onsite Rehabilitation of the existing slum-inhabitants by commencing private participation for using poor land area as a resource. Granting Subsidy to the beneficiary for individual house construction/enhancement. The scheme will provide a credit linked subsidy of Rs 1.00 Lakh to 2.30 Lakh to the home buyers. The subsidy will be generated by central government treasury. Credit linked subsidy granted to LIG and EWS segments of urban population. Credit linked subsidy interest rate is 4% below the market rate when compared with Current market rate of interest on housing loans and will last for a period of 15 years from the date. Subsidiary is being implemented as a Central Sector Scheme whereas other components as Centrally Sponsored Scheme (CSS). All the construction under Pradhan mantri Awas yojana (PMAY) will adopt latest technologies for building new units or apartments. Government will setup a technical cell from the Building Materials and Technology Promotion Council (BMTPC) under the Ministry to support this Technology Sub-mission. Well researched layout designs and prepared building plans appropriate for various geo-climatic zones. Taking up modern, innovative eco-friendly technologies. Green buildings concepts using natural resources. Earthquake and other disaster resistant technologies . Simple concept of designs should be adopted to ensure adequate sunlight and air ventilation. PMAY Phase 1: From April 2015 to March 2017, begin the development of total 100 cities that must be completed during this phase. Preference will be given to females applicants for house allotments. Ground floor of the houses will give preference to physically differently abled or to senior citizens. Construction developers should strictly follow eco-friendly development technologies. Affordability – Grant subsidy range anywhere between INR 1 lakh and INR 2.30 lakh to LIG and EWS section of urban population. 4% less rate of interest from the market value on loans. Affordable Housing Scheme is implemented across many cities for the urban poor. Search for Affordable homes and apply for loan to get a better interest rate. All you need to do is just finish your research and finalise on property and we will take you along every step of loan process till you close the loan. Let us know your details of the project. We check your eligibility, your emi, and tenure. The banks come up with attractive interest rate. Choose a bank product after discussing with our experts. Get instant loan approval and enjoy the fastest disbursal ever. Get eligible for Credit Linked Subsidy Scheme and also extra discount form Loanyantra team. Reduce your EMI and your burden. All you need to do is just give a missed call to 040-71011991. And get a call back from the loanyantra team to proceed further with a hassle-free approach. First time in Modi’s regime, RBI has increased the Repo rate by 25 basis points which is now 6.25. Since 2014, till the recent Budget 2018, RBI either reduced the repo rate or maintained status quo. Let us know more details about how the Repo rate, home loan, personal loan interest rates are interlinked. Repo rate is the rate at which the RBI lends money to the banks. As we pay interest to the bank s when we take loan, the same way the banks pay interest to the RBI when the banks take loan. So, that interest rate at which the banks pay to the RBI is called Repo rate. Impact of Repo rate hike on banks and banks rates. So, the repo rate increase means, the banks need to pay more interest to the RBI. So, for the banks it is time to increase the revenue. The source of revenue to banks is Public. So, banks calculate their earnings, profits and then increase their source of income from lending (home loan, personal loan, etc) by increasing the lending rates. Earlier this week, some banks, including the State Bank of India (SBI), Punjab National Bank (PNB), HDFC and ICICI Bank increased their benchmark lending rates or MCLR by up to 10 basis points per cent, making loans costlier for consumers. SBI chairman Rajnish Kumar said that it was good that the rate hike has been done with now. He does not anticipate further rate hikes this year unless global oil prices rise. “This is the time that they could have done the rate hike “ he told The Indian Express. Every time there is a repo rate cut, SBI is the first bank to pass on the benefits to the customers by reducing the lending rates. Which is followed by other major banks like ICICI and HDFC. This is the first time we have seen these major banks increasing the lending rates before the increase in the RBI repo rate. Hence, it is anticipated that within near period, there will not be any increase in the lending rates by the major banks like SBI, ICICI, HDFC, AXIS Bank. The home loan interest rates were never below 9% before 2014. In the near recent times, the home loan interest rates have reached to the maximum of 8.7%. So, it is still advantageous, for all those who want to buy home, go for home loans and get the best one that suits you better. As, though the repo rate has increased, the lending rates remain the same, atleast for a while. Hurry and fix your loan, home, auto or any other personal loan at the best interest rates ever. Do your research with Loanyantra.com., know the interest rate trends, and the market trend. Get the best fit loan from your favourite lender. All you need to do is just give a missed call to 040-71011991. Our relationship manager calls you and you can discuss in detail and get the best product with low interest rate. What is Home Loan Interest Rate? Home Loans have become the best medium to buy homes. Banks and NBFCs offer various home loan schemes and alluring interest rates that attract the home buyer. The key deciding factor for a customer to avail home loan from a particular financial institution is determined by the interest rate. The interest rate is charged on the principal loan amount. What determines interest rates on Home Loan? It is the bank that decides their lending rates. This depends on their cost of funds and NIM or Net Interest Margin which the banks need to earn a profit and cover their operation cost. RBI decides on the repo rate and the reverse repo rate through which the banks or the financial institutes determine the lending interest rates or home loan interest rate. If RBI reduces the Repo rate, the banks also reduce the lending interest rates. If the RBI increases the Repo rate, the banks also increase the lending rates. As the repo rate and reverse repo rate control the liquidity of the funds in the economy. RBI increases the Repo rate, the rate at which the RBI lends money to the banks, to control inflation, to control the money outflow, and vice-versa with reverse repo rate. An important point to note here is that home loans to salaried employees are offered at a lower rate as compared to those who are working in the unorganized sector; the prime reason for this is the stability of income of salaried employees. The home loan interest rates calculation by the nationalized banks is presently based on MCLR or Marginal Cost of Lending Rate method. To this rate, the spread is added and then the final interest rate is mentioned to the customers or borrowers. And the NBFCs use Prime Lending Rate (PLR) calculation method. Fixed Interest Rate Loan- This rate of interest remains fixed and the borrower has to pay a fixed EMI during the home loan tenure. The market fluctuations don’t impact the home loan rate. A major point of concern when it comes to fixed home loan rates is they are 1-2.5% higher than the floating rate of interest. If a borrower has fixed home loan then he/she doesn’t get the benefit if the home loan rates go down. Their EMI remains unaffected by it. Floating Interest Rate Loan- As the name indicates, floating rate loans have interest rates that change with the market condition. The are highly susceptible to market fluctuations. If the base rate changes, the floating rate also gets changed along with it. They are usually cheaper than the fixed rates but being highly influenced by the market condition they may vary as the RBI changes the rates. 1. Income – No matter how small your income is. It depends on your lender how much they can finance the property based on other factors. 2. Credit score – Though you are eligible with respect to every other factor, if you have a bad credit score, rest everything fails. Hence, it is a usual practice to check the credit score while checking your eligibility. Even if you have a very bad score, 6 months of good repayment again can help you get a good credit score through which you can apply for a loan. 3. Location of the property – Home loan sanction varies according to the place and state of the property located. Getting a loan for a gated community in urban India is easier when compared to the loan for a plot in rural India. 4. Loan amount – According to the property you choose, the amount that can be availed for loan is decided. Most of the national banks fund 80% of the price of the property and some of the NBFCs can fund 90% of the price of the property. You can go with national banks or private banks, if you have all the documents of the property in right place. 5. Type of loan – If you are already with a home loan and you still look for financing your expenses, there are many other loan options you can opt for but only if you meet the eligibility. You can go with home improvement loan, top-up loan or even personal loan to meet your ends. Interest rate for each loan varies. 6. Loan tenure – Loan interest rate, emi amount, tenure are the major factors to determine the loan. Everything is inter-related. Now lenders offer tenure upto 30 years so that you can have low emis according to the existing interest rate. 7. 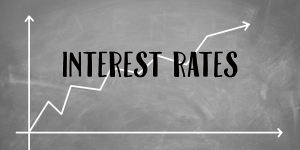 Type of interest rate – Fixed interest rate is a bit higher than the existing interest rate. Floating depends in the market trends. Hybrid interest rates are those loan products which offer fixed interest rate for the first five years and change to floating after 5 years automatically. You should be aware of how the interest rate is changing ang when it changes. If you keep your tenure constant, your emi keeps changing according to the interest rate you opted for. 8. Employment type – The interest rate, whether fixed or floating, depends on your employment type. For those of self-employed individuals, the interest rates are a bit higher when compared to the salaried individuals. Also for the women borrowers, the interest rate is 0.05% low. So, it is suggested to take loan on your wives name or mothers name or sisters name to enjoy the low interest rates. 9. On-going promo offers – To attract the loan borrowers, now lenders promote their products by no processing fees period or zero legal charges, or less interest rates for just one month, etc. It is advisable to wait for such times if you can, and opt for loan during such time. Any little amount reduced on our expenses will always pave way for something good. When you apply for a home loan, the first thing you check is, calculate your budget, the expenses and surplus, etc. The same way, banks judge your repayment capacity by checking your eligibility by calculating your EMI. Loanyantra shows your approximate EMI as you enter your salary details, interest rate and tenure. Calculate your Equated Monthly Instalment (EMI), http://loanyantra.com/Calculators.aspx, before even applying to any bank. Know different banks interest rates, and calculate and adjust exactly for your budget and fix for your favourite lender. Even Rs.1000, less also make difference when you can save on your EMI. Get expert advice from Loanyantra as to which bank provides special offers and know the right bank according to your requirements. Calculate your emi for any type of loan, personal loan, balance transfer, home loan or part payment all in one go. Know your Tenure – Earlier were the days when home loan tenure used to be 20 years. Now, to make the home buying easy and affordable to every one, the emi should be low, so the lenders in India now increased the tenure to 30 years. So, if you want to reduce the emi, increase your home loan tenure to 30 years but try to repay before your retirement. Calculate your emi based on the tenure change. Decide on how much you need for expenses and how much you can pay for the loan based on the tenure. Tenure and emi are inversely related. If tenure is increased, emi is reduced. If tenure is reduced, emi is increased. Home loan lenders first check your eligibility before even asking for any property documents. Usually, any lender would look for your credit score and salary to know your repayment capacity. Next step is to look at the property’s details by legally verifying the documents. If you are not eligible for the loan from your lender, understand that either you applied for the loan amount more than you are eligible for or your credit score is bad. Pay your pending bills so perfectly at the right time for 6 months and check your credit score. This increases your credit score. You might lose eligibility even if your property fails to clear the legal check. So, when you apply for the home loan, loanyantra can suggest you the best lender according to your requirements. You might like the property or it might fit in your budget or it is your ancestral property which doesn’t have all the required documents. So, there are lenders who might lend you for a home loan even at the best rates and at competitive home loan interest rates. 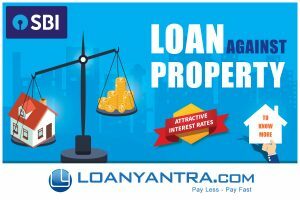 So, get eligibility, know your eligibility, calculate your eligibility and get the instant loan and fastest loan disbursal from loanyantra.com. 1. Passport-size photographs of the borrower and the co-applicant if any. 2. Completely filled application issued by the financial institution. 4. Bank’s last six-month statement showing salary credited. 5. ID proof like Pan card, Adhaar card (mandatory), driving license, voter ID, Passport and employment ID card in case of salaried professional. 7. Proof of Age (Either of these): 10th or 12th Marks Cards, PAN Card or Voters ID Card. 8. In case you are self-employed or a businessperson, then you have to submit documents which prove the existence of your business and academic qualifications along with the financial statements. 9. Bank statements which show that home loan EMI deduction. Usually, it is of last 12 months. 10. Loan statement of the company and the entire set of documents related to the property that is currently in possession of the home loan provider. Documentation for home loan is necessary, you are required to go through some paperwork, which assures the lender that you can repay the loan amount. Banks or other financial institutions require you to submit certain documents for home loan so that they can proofread it and also adjudge your credibility for home loan. Make sure that all the documents are correct and appropriate as the approval of the bank depends on your repayment capabilities which are decided by the documents. Loanyantra.com helps you in every step. Start your research with Loanyantra.com. Let us know your requirements. Get all the suggestions you need and choose the best from the major lenders in India. All you need to do is just give a missed call to 040-71011991. You get a call back from our relationship manager and you can discuss in detail about your requirement.